Technology has advanced so much that cameras are found even in phones. Photos stand out as the best sources of evidence and the most accurate. This will give you the best shot at obtaining fair compensation. While you are waiting for the police to arrive, the first things to target are the general scene photos, and then external parts of all vehicles involved in the accident. Take shots of each of the four corners of each vehicle to enable whoever will analyze the photo to have a clear view from all the four sides of each vehicle. If you are physically able, try to take pictures showing the positions of each vehicle, if you are not then ask someone if they could take them for you. You can include landmarks to enable the viewer to see the exact place and position where the accident took place and where each vehicle was at the time of accident. Ensure that you take each vehicle’s license plate, damaged parts, skid marks and anything related to the accident. The notes should include things such as date, place and time of the accident. You must also include what brought about the accident. Get witnesses and take their contacts, keep records of whatever they say about the car accident while their memory is still fresh. Ensure that any document you used during and after the accident is kept. Receipts will help your insurance claims adjuster know how much you spent on vehicle repairs and so on. Ensure you keep the doctors records and bills when claiming compensation for physical injuries. Things such as doctor’s appointments records, receipts, reports and documents showing injuries suffered should not be lost and must be included. Keep any record of expenses used when seeking medication, and how long you were out of work or business from the time of accident. 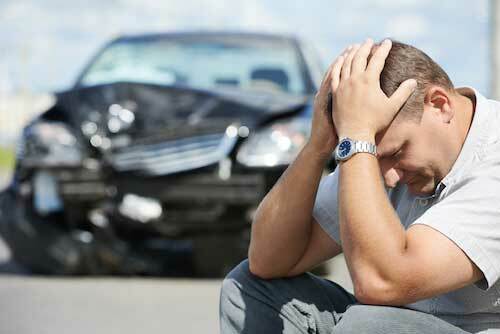 If you have an accident attorney as soon as possible. Legal guidance and advice is critical for obtaining maximum compensation for your injuries, losses and damages. An experience NH personal injury attorney will be able to guide you through to process and make certain you are fully and fairly compensated.